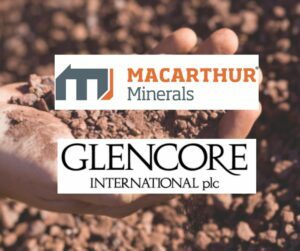 Cadence Minerals (AIM/NEX: KDNC; OTC: KDNCY) is pleased to note the announcement today from Macarthur Minerals (TSX-V: MMS) (“Macarthur”) that it has engaged Orbit Drilling Pty Ltd (“Orbit Drilling”) to commence an infill drill program at its Moonshine Magnetite Project at Lake Giles (“Project”) in the Yilgarn region of Western Australia. Macarthur has contracted Orbit Drilling to complete a 30 hole infill program at the Moonshine Magnetite Project. The drill program has been planned to upgrade the Inferred Mineral Resource estimate to a Measured Mineral Resource of approximately 100 million tonnes (“Mt”) at the Project. Drill-hole planning was conducted by CSA Global Pty Ltd (CSA), Macarthur’s independent geological consultants. The Measured Mineral Resource will underpin the bankable feasibility study (“BFS”) of the Project to be completed in 2019. Macarthur states that the drilling program is designed to coincide with the BFS for the Project to be undertaken in 2019. Mining and processing studies will be based on Measured Mineral Resources to provide greater confidence in the outcomes of the study. The program aims to convert approximately 100 Mt of the Inferred Mineral Resource to a Measured Mineral Resource at the Moonshine deposit. Drill planning has been completed by CSA Global, who completed the early resource modelling and estimations for the Moonshine Magnetite Project. The drilling program is also planned to obtain diamond core for the purpose of further metallurgical test-work. Diamond core is required for the BFS to refine the process flow design and provide greater understanding of ore variability. This metallurgical test-work program will commence mid-way through the drilling program as core becomes available. Drilling is planned to commence in early May on receipt of required drilling permits, with an initial campaign of approximately 12 weeks. Macarthur states that the Moonshine Magnetite Project contains an Inferred Mineral Resource consisting of 1,316 Mt @ 30.1% Fe. Cadence holds approximately 10% of the issued equity interest in Macarthur, which is an Australian mining exploration company focused primarily on iron ore, nickel, lithium and gold in Western Australia. It also has a lithium project in Nevada, USA. This news release is not for distribution to United States Services or for Dissemination in the United States. Kiran Morzaria B.Eng. (ACSM), MBA, has reviewed and approved the information contained in this announcement. Kiran holds a Bachelor of Engineering (Industrial Geology) from the Camborne School of Mines and an MBA (Finance) from CASS Business School. Certain statements in this announcement are or may be deemed to be forward-looking statements. Forward-looking statements are identiﬁed by their use of terms and phrases such as ”believe” ”could” “should” ”envisage” ”estimate” ”intend” ”may” ”plan” ”will” or the negative of those variations or comparable expressions including references to assumptions. These forward-looking statements are not based on historical facts but rather on the Directors’ current expectations and assumptions regarding the Company’s future growth results of operations performance future capital and other expenditures (including the amount. nature and sources of funding thereof) competitive advantages business prospects and opportunities. Such forward-looking statements reﬂect the Directors’ current beliefs and assumptions and are based on information currently available to the Directors. Many factors could cause actual results to differ materially from the results discussed in the forward-looking statements including risks associated with vulnerability to general economic and business conditions competition environmental and other regulatory changes actions by governmental authorities the availability of capital markets reliance on key personnel uninsured and underinsured losses and other factors many of which are beyond the control of the Company. Although any forward-looking statements contained in this announcement are based upon what the Directors believe to be reasonable assumptions. The Company cannot assure investors that actual results will be consistent with such forward-looking statements. Iron ore spot markets rose strongly across the board on Friday. Uncertainty over supply disruptions in Brazil and Australia, along with firmer steel prices, likely explain the size of the gains recorded during the session. China’s official manufacturing and non-manufacturing PMIs both improved in March compared to the levels reported in February. The Caixin-IHS Markit China manufacturing PMI report for March will be released on Monday. Iron ore prices rallied on Friday, supported by renewed uncertainty over Brazilian and Australian supply. According to metal Bulletin, the spot price for benchmark 62% fines jumped 2.5% to $86.81 a tonne, logging its largest gain in two weeks. The gains in higher grades were even larger with 65% fines soaring 3% to $99.30 a tonne, leaving it just below the multi-year highs struck in early February. Lower grades also rallied with 58% fines adding 1.6% to $72.14 a tonne. The across the board gains coincided with renewed uncertainty over the outlook for Brazilian and Australian iron ore supply, two of the largest seaborne exporters globally. On Thursday, Brazilian miner Vale lowered its iron ore sales forecasts to a range of 307 to 322 million tonnes this year, down from an earlier estimate of 382 million tonnes. “The price implications from Vale’s guidance and commentary are significant,” said Vivek Dhar, Mining and Energy Commodities Analyst at the Commonwealth Bank. Daniel Hynes, Senior Commodities Strategist at ANZ Bank, is another who expects iron ore prices will remain supported in the period ahead. “We see a sizable disruption lingering over the market for the near future,” he said, referring to supply disruptions in Brazil. “Supply-side responses are likely, but will be far short of what is required to meet the needs of the market in 2019. As a result, iron ore exports will fail to meet expected demand by around 35–40 million tonnes in 2019. Along with uncertainty over the outlook for Brazilian supply, news of operational disruptions at facilities owned by Rio Tinto in Western Australia was another factor that helped to propel prices higher during the session. On Friday, the miner issued force majeure notices to some iron ore customers due to damage from tropical cyclone Veronica, which hit Western Australia earlier this week, according to Reuters. Rio said that it was “currently assessing the impact of the damage sustained at the Cape Lambert A port facility and is working with its customers to minimise any disruption in supplies”. A force majeure is invoked when a miner cannot perform an obligation under a contract due to circumstances outside of its control. Like spot markets, the news helped to spark a rally in Chinese iron ore futures on Friday. In Dalian, the most actively traded May 2019 contract jumped to as high as 638.5 yuan before closing the session at 631.5 yuan. That was well above the 613.5 yuan level it finished on Thursday evening. Stronger steel prices also helped to support iron ore futures at the margin with rebar and hot-rolled coil finishing trade at 3,758 and 3,741 yuan respectively, up from 3,695 and 3,673 yuan on Thursday evening. As seen in the scoreboard below, those moves were largely sustained in overnight trade on Friday. Trade in Chinese commodity futures will resume at midday AEDT on Monday. In news that will likely bolster sentiment across the steel and bulk commodity complex further, activity levels across China’s manufacturing and non-manufacturing sectors improved in March, driven in part by booming construction activity. The government’s manufacturing and non-manufacturing PMIs rose to 50.5 and 54.8 respectively in March, up from 49.2 and 54.3 in February. A reading above 50 indicates that activity levels improved from a month earlier. The distance away from 50 reveals how fast the improvement occurred. The separate Caixin-IHS Markit China manufacturing PMI report for March will be released today. In the past, markets have tended to pay more attention to this report than the official government release. 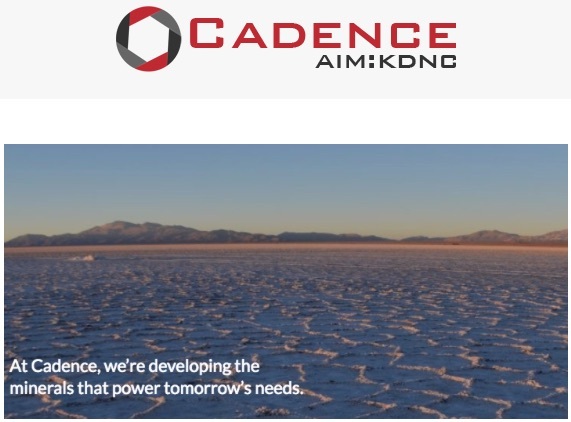 Cadence Minerals (AIM/NEX: KDNC; OTC: KDNCY; “Cadence”) is delighted to provide an update on preliminary exploration work undertaken on three highly prospective lithium assets in Australia, which was announced on 4 March 2019. Furthermore, Cadence is pleased to confirm the completion of Stages 2 of this transaction which elevates its stake in the three lithium assets to 24% from 4%. Picasso: at least 70 potentially mineralised surface pegmatites have been identified within the tenure, which is near Alliance Minerals’ (ASX: A40; SGX: 40F; “AMA”) high-profile operating Bald Hill Lithium Mine as well as Cowan Lithium and Liontown Resources (ASX: COW; “COW” and ASX: LTR; “LTR”) advanced lithium projects. As the preliminary work has unearthed some encouraging findings, the team intends to fast-track plans to mobilise to the Picasso site to commence assessing the potential of the pegmatites identified for incremental follow up work. Litchfield: on 27 March 2019, neighbour Core Lithium (ASX: CXO; “CXO”) announced encouraging high-grade drill results – 76m @ 1.78% Li2O from 149m including 21m @ 2.06% Li2O from 202m – at its BP33 deposit (part of the Finniss project) which is 900m from Litchfield’s boundary. CXO’s results confirm there are numerous high-grade spodumene orebodies present in the region, which significantly enhances potential exploration upside for the Litchfield project, especially the prospect of contiguous mineralisation. 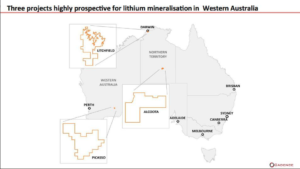 Alcoota: as a result of interpreting satellite imagery from the site, we are confident that there are multiple lithium-rich surface pegmatites within the tenure that potentially connect to confirmed occurrences in adjacent tenures to the north-west and south east. With all regulatory approvals finalised, Cadence will proceed to complete Stage 2 of the varied agreement with Lithium Technologies Pty Ltd (“LT”) and Lithium Supplies Pty Ltd (“LS”) which will lift its stake to 24% from 4%. Kiran Morzaria, Chief Executive Officer, added: “Cadence’s geology consultant has moved swiftly over the past month to broaden the understanding of our newly acquired lithium assets in Australia, uncovering 70 potentially mineralised occurrences at the Picasso project and verifying there is a pegmatite continuum across the Alcoota tenure. Furthermore, Core Lithium’s recent drill assay results from its BP33 deposit, which are arguably among the highest in Australia in the past 12-months, clearly benefits Cadence’s Litchfield project given it is only 900m away. Further analysis of mapping data undertaken by the Geological Survey of Western Australia (GSWA) and satellite imagery has highlighted at least 70 potentially mineralised pegmatites, which includes multiple GSWA mapped clusters, within the project’s boundary. This is an extremely encouraging quantitative start to the exploration program, as more pegmatites, including clusters, are expected to be uncovered in the southern portion of the tenure as GSWA potentially did not differentiate pegmatites in granitic terrane. Combined, this data will be instrumental in refining targets for the inaugural site visit that will focus on expansive proprietary geological mapping and collecting rock-chip samples to test for elevated lithium levels. In turn, once this material is analysed, the geology consultants will be able to commence formulating priority targets for the inaugural drilling program. Interestingly, as the Picasso project is exclusively on unallocated Crown land, this dynamic facilitates the geology consultant expediting the exploration program. Overall, with the Picasso project having similar geology to its neighbouring peers (AMA, LTR and Cowan Lithium), which have confirmed occurrences of pegmatites with lithium-bearing spodumene, it is highly prospective and delivers significant exploration upside. Moreover, the Picassso project is highly accessible, as it is 1km north of the sealed Eyre Highway which runs through Norseman, a regional hub for the mining industry, 50km west of the tenure. Further drilling at CXO’s BP33 deposit, which is 900m from the Litchfield project boundary, delivered more impressive high-grade results – 76m @ 1.78% Li2O from149m including 21m @ 2.06% Li2O from202m. Notably, according to CXO’s 27 March 2019 release, the latest intersection results “confirm the consistent, wide and high-grade nature of the spodumene pegmatite orebody at BP33” which is a key component of the Finniss project. Within the next few weeks, its is expected that CXO will be completing a Definitive Feasibility Study for the Finniss project, which we believe should materially enhance the exploration upside for Litchfield, given the potential for contiguous mineralisation. Systematically reviewing information on the Northern Territory government’s STRIKE platform highlighted incremental encouraging results, with 35 mineral occurrences identified within 1-2km of the Litchfield project’s boundary. All CXO’s major deposits (including BP33), which comprise demonstrable mineral resources, are classified as pegmatite occurrences containing lithium, tin, niobium and tantalum. Importantly, the underlying geology and geophysical characteristics of the Litchfield project are very similar to CXO’s ground, which has been verified by magnetic and radiometric surveys. Leveraging the wealth of information available from CXO’s ground, the Litchfield project clearly delivers exciting upside potential. The next phase of the exploration program is to reconcile satellite imagery with known information and identify priority targets for the inaugural fieldwork, which will provide more clarity on the extent of mineralised pegmatites across the tenure. Reconciling satellite imagery with known lithium-rich surface pegmatite occurrences to the north-west and south-east in contiguous tenures on opposite sides of the Alcoota project, potentially indicates a mineralised continuum zone through the tenure. Importantly, these occurrences have, for the most part, been recorded in the STRIKE system and verified in ASX announcements by Kingston Resources (ASX: KSN), which previously owned adjacent tenure that was then sold to private group, Lithium Plus. Moreover, the encouraging findings from the preliminary desktop review confirm the underlying geology within Lithium Plus’ ground is near identical to the Alcoota project. As limited exploration was undertaken on the Alcoota project historically, there are several targets warranting further investigation that were identified by satellite imagery. Of these, a large target near the central southern boundary, that is clearly readily accessible, stands out as visually it closely mirrors lithium-rich pegmatites identified in neighbouring peers. However, further work is required to finalise the desktop review which should provide full clarity on where the team should target when they commence follow up field work. Holistically, the geology consultant’s next focus is to finish off all the desktop studies then start planning the inaugural site visits and fieldwork. As the preliminary work has unearthed some encouraging findings, the team intends to fast-track plans to mobilise to the Picasso site to commence assessing the potential of the pegmatites identified for incremental follow up work. With all regulatory approvals now finalised, Cadence will now acquire further 20% in of LT & LS increasing its equity stake in both to 24%. 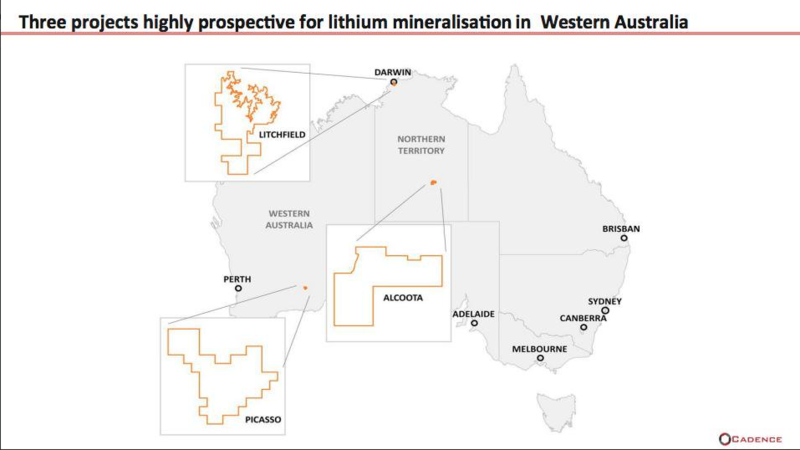 LT &LS own the Australian lithium assets. As per the announcement dated 4 March 2019 Cadence will issue 373,544,298 new ordinary shares to the founding shareholders of LT & LS. Application will be made for the admission to trading on the AIM market (“AIM”) of London Stock Exchange plc (“LSE”) of the Placing Shares (“Admission”). Admission is expected to occur on or around 16 April 2019. Following Admission, the Company will have 9,091,651,299 Ordinary Shares in issue. There are no shares held in treasury. The total voting rights in the Company is therefore 9,091,651,299 and Shareholders may use this figure as the denominator by which they are required to notify their interest in, or change to their interest in, the Company under the Disclosure Guidance and Transparency Rules. 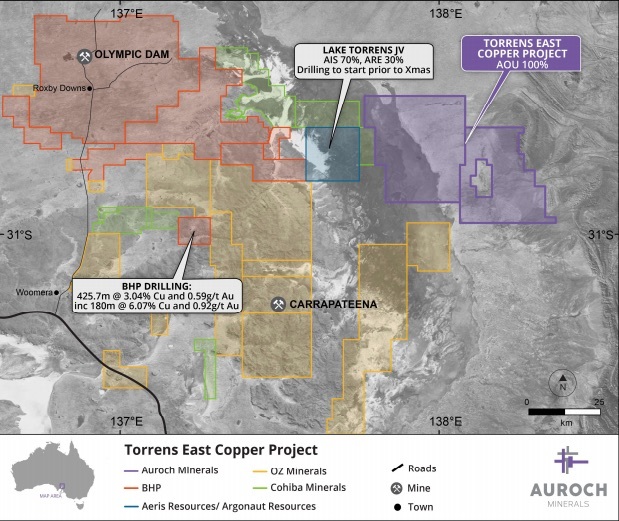 Cadence Minerals (AIM/NEX: KDNC; OTC: KDNCY) is pleased to note the announcement today from Auroch Minerals Limited (ASX:AOU) (“Auroch”) that the Exploration Licence 6331 (EL 6631) at its Torrens East Copper Project (“Torrens East”) has been granted. The Exploration Licence is the western of the two tenements comprising the Torrens East Project, and covers a likely extension to the gravity anomaly that is currently being drill-tested by the Torrens JV (70% Aeris Resources Ltd; 30% Argonaut Resources NL). The granting of the EL means the Company can now proceed with access agreements in order to initiate exploration work programmes on this highly prospective area. Auroch continues to collate and interpret available historic geological and geophysical data with a focus on coincident areas of gravity and magnetic anomalies and is currently investigating various options for further exploration including airborne gravity surveys, reprocessing of aeromagnetic data and Magnetotellurics (MT). The Company is also continuing its intensive exploration programme at the Arden Zinc Project. During the past few months the exploration team has completed detailed mapping and surface geochemistry sampling over large areas of the Arden tenement. The work has been focused on the key prospect areas previously identified, such as the possible extension of the high-grade zinc mineralisation encountered in drill-hole RRDD-0071 in the 2018 drill programme, which included 3.65m @15.47% zinc within 12.80m @4.96% zinc from 53.00m. With the zinc price recently increasing to over 3,000 USD/t2 the Company is working hard towards the next drilling campaign planned for the end of this quarter. Cadence currently owns 6.6% of the equity in Auroch Minerals, which is an exploration company targeting principally zinc, cobalt and lithium. Cadence Minerals (KDNC) – Macarthur Minerals (TSX-V: MMS) Progress Towards Rail Haulage Agreement. 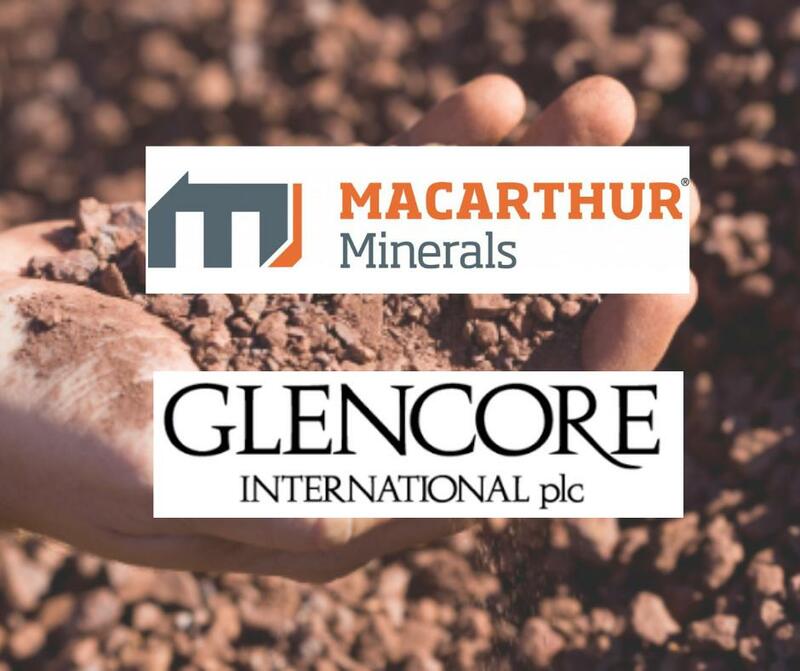 Cadence Minerals (AIM/NEX: KDNC; OTC: KDNCY) is pleased to note the announcement today from Macarthur Minerals (TSX-V: MMS) (“Macarthur”) that it has partnered with Australian freight haulage company Aurizon (“Aurizon”) to finalise a rail haulage contract for its Lake Giles Moonshine Magnetite Project (“Project”) in the Yilgarn region of Western Australia. This news follows the Company’s recent announcement that it has signed a binding Life-of-Mine Off-Take Agreement with Glencore International A.G. for the sale of iron ore to be produced from the Project from the commencement of commercial production. Macarthur has entered into a Negotiation Agreement with Aurizon to provide above rail haulage services including the supply of rolling stock for the purpose of transporting iron ore from the Project to the Port of Esperance. Aurizon already has rolling stock available that was previously used by other iron ore operators in the region including 325 wagons. The rolling stock is fit for purpose and compatible with rail unloading infrastructure at the Port of Esperance. This represents a key component of the logistics solution for the Project. Aurizon was selected as the preferred operator based on its superior supply chain experience, safety and operating capability and its expertise in bulk rail freight that includes the transport of over 40 million tonnes of bulk freight and iron ore throughout Australia. Aurizon has significant rail marshalling, maintenance and traincrew facilities at the Port of Esperance, a legacy investment from its previous Cliffs iron ore haulage contract. The open access rail network owned by Arc Infrastructure has available capacity and is accessible within 90 km of the Project and runs directly to the Port of Esperance. 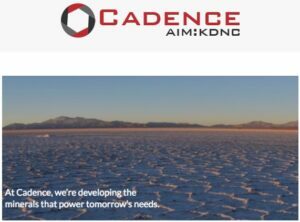 Cadence Minerals (KDNC) – European Metals (AIM: EMH) Cinovec Project Update – Battery Grade Lithium Hydroxide Sample Produced – Clarification on Test Work Process. Cadence Minerals (AIM/NEX: KDNC; OTC: KDNCY) is pleased to note the update published today by European Metals Holdings Limited (“European Metals” or “EMH”), providing further clarification for the outcomes from a recently completed engineering assessment of the flowsheet and subsequent testwork aimed at demonstrating the ability to produce lithium hydroxide from Cinovec Project ore. 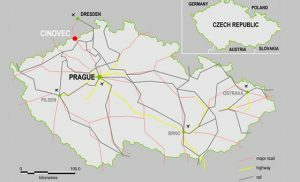 The move by the company to develop a process for the production of lithium hydroxide from the Cinovec project is in response to market forces that continue to move Czech and European manufacturers towards the production of advanced technology batteries. Flowsheet successfully developed and tested for the production of lithium hydroxide from Cinovec ore.
A potential production rate in excess of 25,000 t/a lithium hydroxide has been demonstrated to be possible utilising a robust process route proven in the lithium production sector. A formal update of the project PFS reflecting the production of lithium hydroxide is underway and will be completed within the next 6 weeks. The result of the testwork was the production of a sample of battery grade lithium hydroxide. The work concentrated on the grade of product produced and not recovery rates. The total amount of product produced was below 10 grams. The data is now being used as the foundation for an update of the EMH PFS such that the final product from the process will be battery grade lithium hydroxide with the option to produce battery grade lithium carbonate should the market support both products. The relevant flowsheets will be available upon completion of this engineering work. 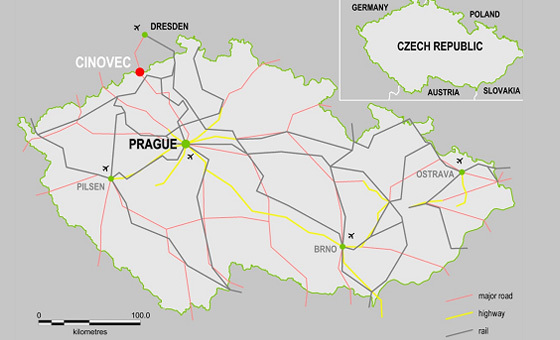 Cadence holds approximately 19.1 percent of the equity in European Metals, which, through its wholly owned Subsidiary, Geomet s.r.o., controls the mineral exploration licenses awarded by the Czech State over Cinovec. Certain statements in this announcement are or may be deemed to be forward-looking statements. Forward-looking statements are identiﬁed by their use of terms and phrases such as ‘‘believe’’ ‘‘could’’ “should” ‘‘envisage’’ ‘‘estimate’’ ‘‘intend’’ ‘‘may’’ ‘‘plan’’ ‘‘will’’ or the negative of those variations or comparable expressions including references to assumptions. These forward-looking statements are not based on historical facts but rather on the Directors’ current expectations and assumptions regarding the Company’s future growth results of operations performance future capital and other expenditures (including the amount. nature and sources of funding thereof) competitive advantages business prospects and opportunities. Such forward-looking statements reﬂect the Directors’ current beliefs and assumptions and are based on information currently available to the Directors. Many factors could cause actual results to differ materially from the results discussed in the forward-looking statements including risks associated with vulnerability to general economic and business conditions competition environmental and other regulatory changes actions by governmental authorities the availability of capital markets reliance on key personnel uninsured and underinsured losses and other factors many of which are beyond the control of the Company. Although any forward-looking statements contained in this announcement are based upon what the Directors believe to be reasonable assumptions. The Company cannot assure investors that actual results will be consistent with such forward-looking statements. Near-term tightness in the iron ore market has persisted and intensified, with several developments in Brazil further restricting Vale’s (VALE)supply and Cyclone Veronica off Australia interrupting Pilbara shipments. We’ve factored in a reduction of another 20 million tonnes in Vale’s output in 2019 and 10 million tonnes in 2020. We now expect Vale to produce 350 million tonnes in 2019 and 370 million tonnes in 2020, down from an estimated 390 million tonnes in 2018. For Rio Tinto (RIO), BHP (BHP), and Fortescue, we’ve lowered our forecasts by 10 million tonnes in total for 2019 due to the cyclone. The estimated 30 million tonnes of lost supply from Vale and the Pilbara in 2019 is a more than 1% reduction to the seaborne iron ore market. Disruptions mean that higher-cost iron ore is needed to balance the market, such as from domestic mines in China. The iron ore price has averaged $83 per tonne year to date, well ahead of our prior $65 per tonne forecast for 2019. Accordingly, we are raising our near-term iron ore forecasts to $73 in 2019, $60 in 2020, and $50 per tonne in 2021. Our prior forecasts were $65 in 2019, $55 in 2020, and $40 per tonne in 2021. Our unchanged $40 per tonne long-term forecast now starts a year later, in 2022. All major iron ore miners we cover benefit from the higher price forecasts, including Vale. However, for Vale, there’s uncertainty around the cost to rectify the Feijao dam failure and compensate the victims as well as legal action that may affect the operation of other mines. Fortescue benefits most because it’s an iron ore pure play and has lower margins than BHP or Rio Tinto, which brings greater leverage to the price. We’ve not changed our $40 per tonne long-term forecast, given the relative flatness of the iron ore cost curve inside the steep tail of smaller-scale and marginal producers, most which we eventually expect to exit. Disruptions to Vale’s supply should resolve within the next few years. In terms of iron ore supply additions, the lost output from Vale, including Samarco, should come back in the medium term. The S11D project should also expand to reach capacity over the next few years. BHP and Rio Tinto should grow modestly as those companies reach their installed capacities. Anglo American’s (NGLOY) Minas Rio mine in Brazil should add more than 20 million tonnes per year after being shut to rectify slurry pipeline leaks. Most of the additional output from Anglo will come in 2019. From a disrupted 2019 base of about 350 million tonnes, we expect Vale’s output to grow to around 425 million tonnes a year from 2023…..
Cadence Minerals (AIM: KDNC) – European Metals (AIM: EMH) Cinovec Project Update – Battery Grade Lithium Hydroxide Sample Produced. Cadence Minerals (AIM/NEX: KDNC; OTC: KDNCY) is pleased to note the Cinovec Project update published today by European Metals Holdings Limited (“European Metals” or “EMH”) highlighting the outcomes from a recently completed engineering assessment of the flowsheet and subsequent testwork aimed at demonstrating the ability to produce lithium hydroxide from Cinovec ore. The move by the company to develop a process for the production of lithium hydroxide from the Cinovec project is in response to market forces that continue to move Czech and European manufacturers towards the production of advanced technology batteries. The data produced from the engineering assessment and associated testwork is now being used as the foundation for an update of the PFS such that the final product from the process will be battery grade lithium hydroxide with the option to produce battery grade lithium carbonate should the market support both products. Lithium producer Livent is looking to acquire resources in Argentina and Australia to expand its access to raw materials to meet rising demand from electric cars, chief executive Paul Graves said. The company, which was spun out of its parent FMC and listed on the New York Stock Exchange last year, said it was looking at low cost high quality assets in Argentina and Australia. Livent is one of the key suppliers of lithium to the electric car industry, and produces lithium hydroxide, a type of lithium used by Tesla. The company currently only owns one lithium resource, the Salar del Hombre Muerto in Argentina, where it extracts lithium from brine 4,000 meters above sea level in the Andes. Mr Graves said it was looking to acquire another brine resource in Argentina and also wanted to buy a lithium mine in Australia, where the chemical is extracted from hard-rock. “We will acquire a hard rock resource if we can. It’s got to be a high quality resource, a long-life resource,” he told the Financial Times. Livent is also looking at investing in new extraction technology that would enable extraction of lithium from brine deposits that have not been successful due to unwanted byproducts. One area for focus was how to extract the lithium contained in brine that comes out of the ground during the extraction of shale oil in the US, he said. Around 80 per cent of its customers were paying the same price or higher than they did in 2018, he said. Prices for lithium carbonate, a product that is more widely used by battery makers, have fallen by 50 per cent from last year in China, according to Fastmarkets. While a number of new lithium hydroxide projects are being developed, Mr Graves said there won’t be a “wave of oversupply.” “I think there will be a wave of supply but it won’t be oversupply. What people miss is there’s just as big a wave of demand coming,” he said. In February Livent said that Chinese customers have been unwilling to sign new contracts due to uncertainty about market conditions. But Mr Graves said while Chinese customers remained cautious, the market outside China was unaffected. The company was seeing rising demand from battery customers in Japan and Korea, he said. Mr Graves said a cut in China’s EV subsidy this week won’t damp demand for electric cars in the country, the world’s largest electric car market, since it will benefit the roll-out of charging infrastructure. Beijing said on Tuesday that the subsidy for electric vehicles with a range greater than 400 kilometres would be cut by half to a maximum of RMB 25,000 per vehicle. “We are seeing a shift in the incentive policy towards charging infrastructure, so while we won’t get this direct near-term boost in demand in EVs from the change in policy, I think we will get a very favourable long-term benefit from investment in infrastructure,” Mr Graves said. Cadence Minerals (AIM/NEX: KDNC; OTC: KDNCY) is pleased to announce that Hastings Technology Metals (ASX: HAS) (“Hastings”), the 70% owner and operator of the Yangibana Rare Earth Project (“Yangibana”) in which Cadence is a joint venture partner with 30%, has announced that the Australian Government’s Northern Australia Infrastructure Facility (“NAIF”) has indicated it will further investigate the potential for NAIF to provide debt finance for Yangibana. The Northern Australia Infrastructure Facility (NAIF) is further investigating the potential to provide debt financing to the Yangibana Rare Earths Project. NAIF’s funding has potential to finance the majority of the Yangibana Project’s infrastructure and related costs. Hastings has commenced work in preparing the required formal Investment Proposal required as part of the next steps to progress due diligence by NAIF. The Yangibana Project involves the development of rare earths deposits rich in neodymium and praseodymium, elements vital to permanent magnets that provide many critical components of wide-ranging high-tech products, including electric vehicles, renewable energy wind turbines, robotics, medical applications and others. The development of this project is expected to bring benefits to the Gascoyne, Carnarvon and Meekatharra regions of northern Australia including through employment and business opportunities. The Yangibana Project aims to be the next significant producer of neodymium and praseodymium outside of China. Hastings has commenced the process of preparing its Investment Proposal for NAIF’s consideration and this represents a major milestone in Hastings engagement with NAIF and in potentially securing debt finance for the project. NAIF has not yet made any decision to offer debt finance and there is no certainty that an agreement will be reached between the parties. NAIF is a major initiative of the Australian Government. NAIF has access to a A$5 billion lending facility which can provide a range of loan concessions, to support infrastructure development that generates public benefit for Northern Australia. It also encourages and complements private sector investment to further that objective. NAIF’s due diligence is under way and Hastings will continue to assist NAIF with further specific requirements to facilitate the process for seeking approval for providing debt finance to the Yangibana Project. On 1 December 2011, Cadence announced that it had acquired a 30% free carried interest to Bankable Feasibility Study of the Yangibana North Rare Earth Deposit. The exploration costs until the commencement of the BFS are therefore borne solely by Hastings (70% owners and operator). The same terms agreed and announced on 1 December 2012 also apply to Gossan, Hook, Kanes Gossan, Lions Ear and Bald Hill North. Certain statements in this announcement are or may be deemed to be forward-lookingstatements. Forward-lookingstatements are identiﬁed by their use of terms and phrases such as ‘‘believe’’ ‘‘could’’ “should” ‘‘envisage’’ ‘‘estimate’’ ‘‘intend’’ ‘‘may’’ ‘‘plan’’ ‘‘will’’ or the negative of those variations or comparable expressions including references to assumptions. These forward-looking statements are not based on historical facts but rather on the Directors’ current expectations and assumptions regarding the Company’s future growth results of operations performance future capital and other expenditures (including the amount. nature and sources of funding thereof) competitive advantages business prospects and opportunities. Such forward-lookingstatements reﬂect the Directors’ current beliefs and assumptions and are based on information currently available to the Directors. Many factors could cause actual results to differ materially from the results discussed in the forward-looking statements including risks associated with vulnerability to general economic and business conditions competition environmental and other regulatory changes actions by governmental authorities the availability of capital markets reliance on keypersonnel uninsured and underinsured losses and other factors many of which are beyond the control of the Company. Although any forward-looking statements contained in this announcement are based upon what the Directors believe to be reasonable assumptions.The Company cannot assure investors that actual results will be consistent with such forward-lookingstatements.